The HP Pre 3 manual or user guide (Orange) available for download directly at orange.co.uk official webisite. The HP Pre 3 manual comes in PDF format with file size is 465 KB consisting of 64 pages and support in english language. 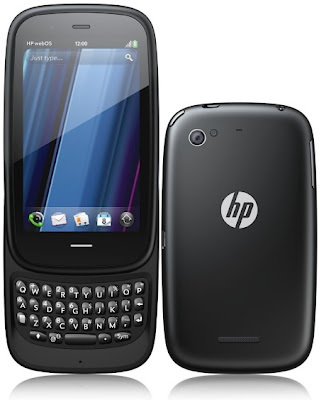 In the HP Pre 3 user guide you can find information and instructions for example about tutorial setup phone, learn phone basics operations, phone part overview, using applications, making calls, using voicemail, using email, instant messaging, using camera for taking photo, listen music, connectivity setting like bluetooth and wi-fi, phone settings guide, troubleshooting, using quickoffice, VPN setting, and many more. Read about specifications and table of content for the HP Pre 3 owner / user manual below. The Orange HP Pre 3 is smartphone that supported by Qualcomm MSM 8×55 1.4 GHz processor and applied HP webOS operating system with 512MB RAM. It has 3.58 multitouch screen (480 x 800 resolution) WVGA display. This phone equipped with 5 MP camera with auto-focus and LED flash features. The internal memory features of the HP Pre 3 include 8GB. This phone powered by 1230 mAh Li-Polymer battery capacity and support for connectivity via Wi-Fi (802.11a/b/g/n 5GHz), Bluetooth 2.1 + EDR with A2DP stereo, A-GPS, Wi-Fi router hotspot, micro USB. Ge and download the HP Pre 3 manual user guide and settings here.